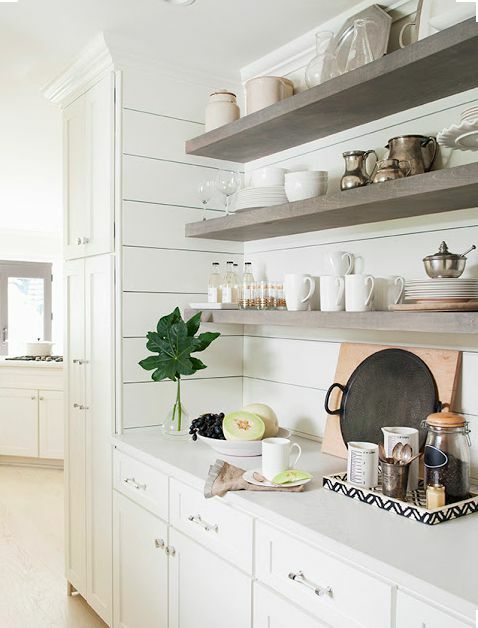 Open shelving seems to be the current trend that is here to stay. I have to admit I do love the look of open shelving but the thought of having everything exposed is quite a commitment. If you choose to try the open shelving look, one thing to keep in mind is that you don't need to put "everything" you own on your shelves. Here are some of my favorite looks...enjoy!